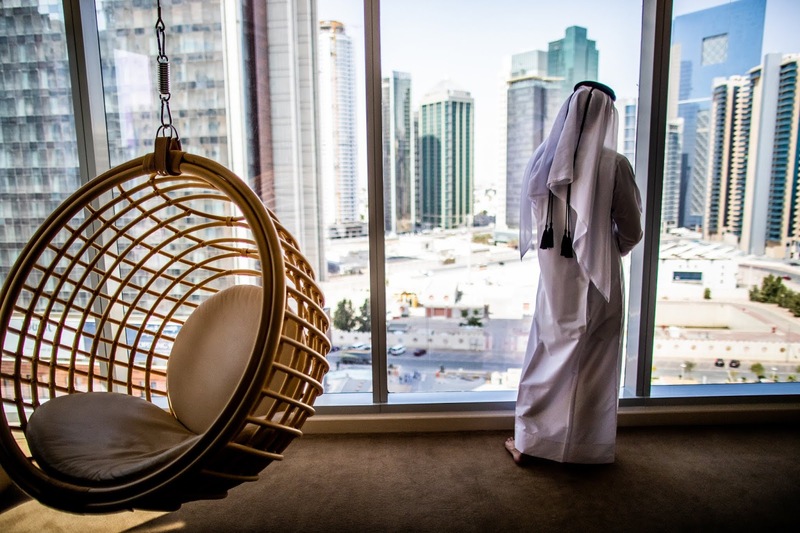 Exploring Doha, Qatar with W hotels. As you already know by now we love weekend getaways whether it's an hour away, across the US or all the way on the other side of the world. 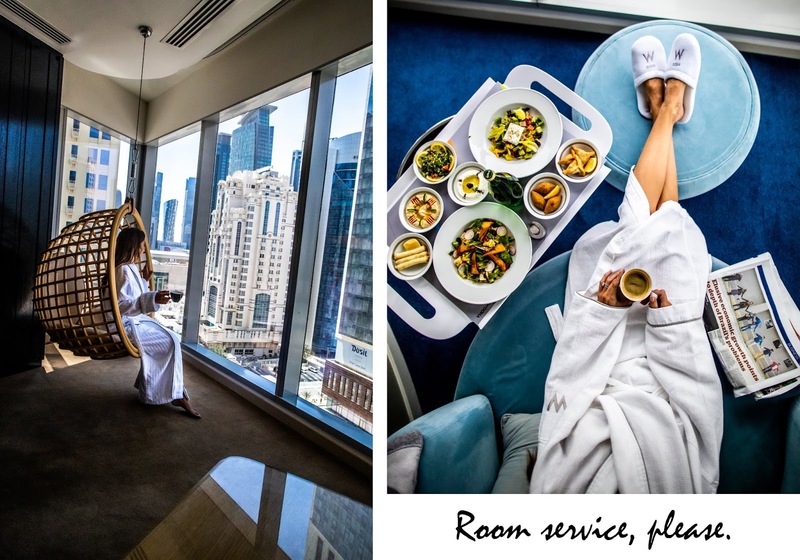 We went to Middle East for the first time about a year ago and I fell in love with Dubai, so when W Hotels approached me about going to visit their property back in Emirates in Qatar I was 100% in. Even though we were only there for 2 full days we got to experience Doha more than we thought we would. Getting to Emirates isn't easy unless you're literally going from one of the main International airports in US to another one there. We flew from a smaller airport by LA and had a stop over in Chicago which turned into a total of 20 hour trip. Because we only had two days in Qatar we knew we had to sleep the entire way there so we wouldn't be jet lagged and make the most out of our trip. Fun fact: 90% of people at Qatar's airport are transfers. They do issue visas if you want to stay over and get to see Doha instead of just hopping on another flight. If you ever do have this opportunity I highly recommend you take it and explore a new spot! 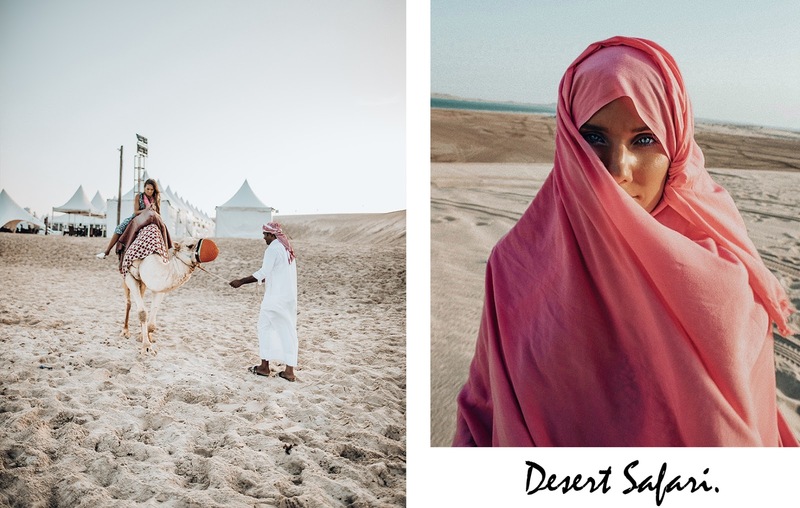 E X P E R I E N C E.
When we landed in Doha we had no idea that Fashion Trust Arabia was happening during our time there! The minute we pulled up to the hotel we saw lots of flashes, photographers and women in gowns walking out. Needless to say we were a bit confused but shortly after were told about what was happening in town and how many celebrities were flown in and were actually staying at W Hotel as well! Everyone from Victoria Beckham, Alessandra Ambrosio, Johnny Depp, Naomi Campbell to Balmain and Alexander Wang were all there. 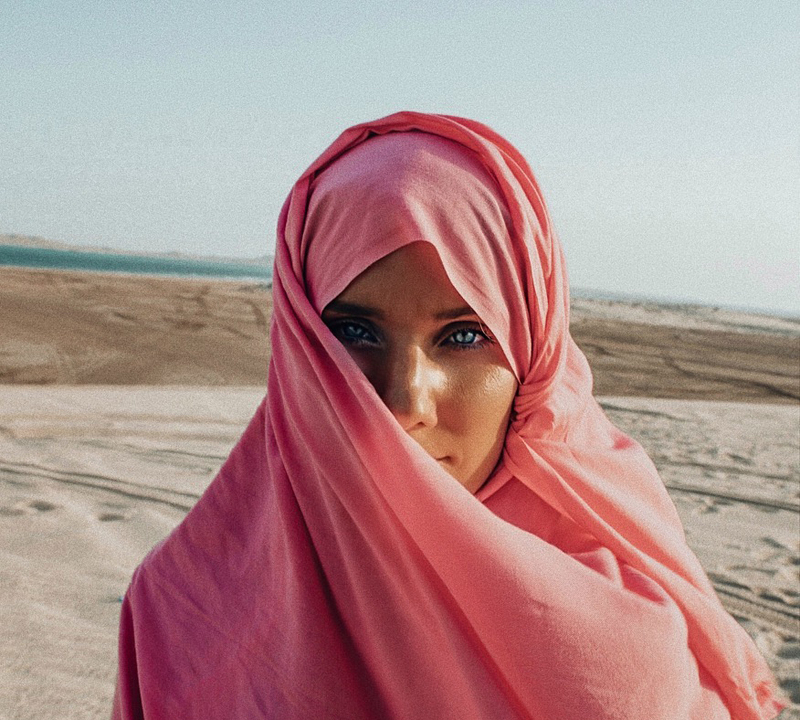 If you have Qatar on your bucket list make sure to browse around if they have any events coming up as that will make your experience there that much more fun and enjoyable! If you're looking for an all-in-one experience in Doha W Hotel is the way to go! They have everything from a few restaurants to chose from that turn into a fun happy hour to lounges at night so you could enjoy a fun night out and not worry about the hassle of looking for a place to go to. I suggest checking out a restaurant called "Spice Market" for brunch as it's super fun and gets packed, reservations are suggested. Dinner at "La Spiga" offers a more romantic vibe with amazing food, their pasta is TDF! 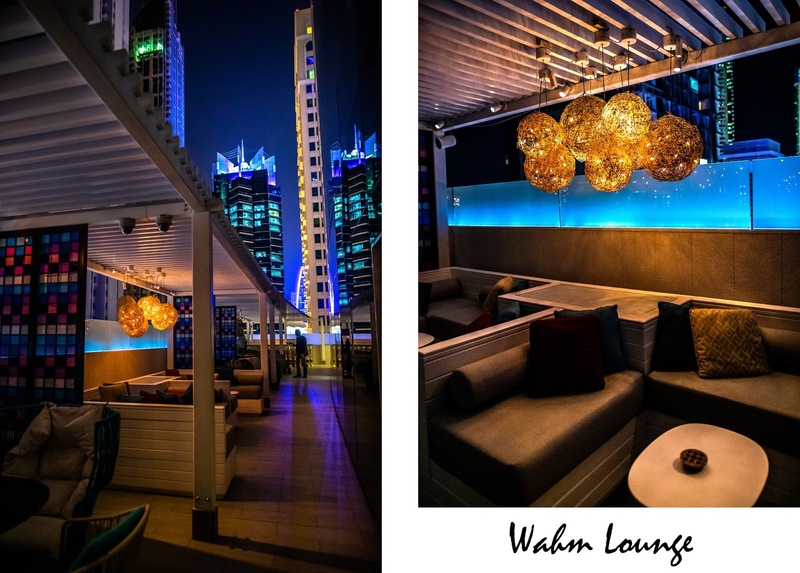 "Wahm Lounge" is where you can grab a drink or two in the evening time, enjoy the view outdoors or stay indoors. Space is quite a large and fills up around midnight! Make sure to ask the front desk if they're having a dj or any events coming up! During our stay we got to see all the different rooms they offer and oh em gee their WOW suite and W Suites are ahhhhmazing and picture perfect haha! Not to act too spoiled here but if they have a deal going on make sure to stay at one of them! W A R D R O B E.
Women must make sure their shoulders are covered, no shorts, skirts above the knees. If you wish to bring dresses or skirts make sure they are below knees. However, at the resort you may wear whatever you'd like. W Hotel had an endless amount of suggestions of things to do & see in Doha. They also arrange it and make sure your plans go smoothly so you're not struggling in a different country! 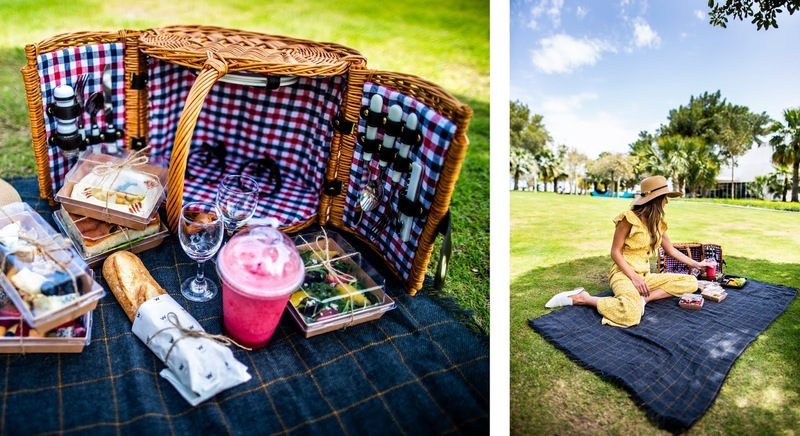 We booked a safari trip, romantic brunch picnic at Mia park (they provide the basket within the price that includes lunch, drinks, blanket etc!). On the way back we stopped to see the National Museum Doha is known for which looked absolutely gorgeous and I highly recommend checking it out. W Hotel has an art gallery with an amazing view overlooking Doha that's absolutely worth checking out and take photos at. W Hotel is located a block away from where the King lives. Uber is available in Doha, Qatar as no one really walks to anywhere and everything is a bit spread out. Credit cards are accepted everywhere and there is no need to bring cash. Everyone speaks english so you will not have any problems trying to get directions etc. Locals are super welcoming and helpful to all tourists! Local work schedule is Sunday - Thursday and Fridays are family days. The main meal of the day in Doha is lunch, not dinner as in most of countries. When you go on a safari ride you could see the border line between Qatar and Saudi Arabia which I found to be pretty cool to see! 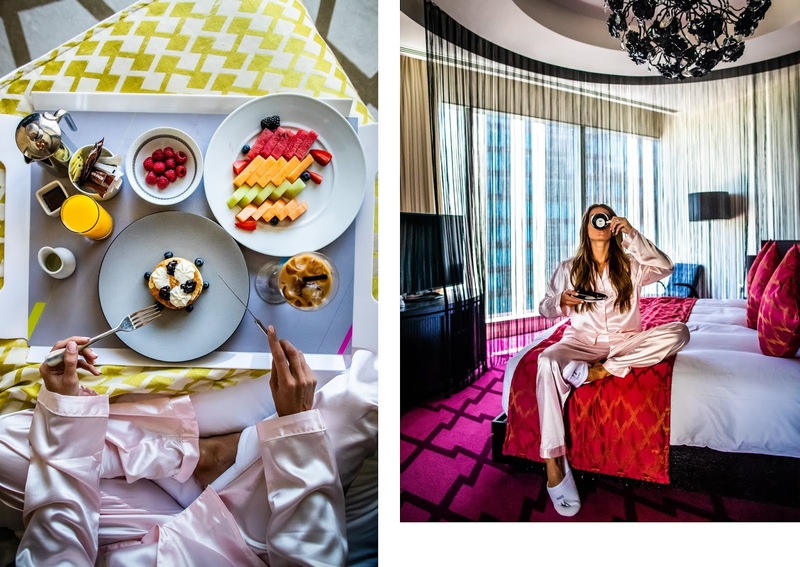 Thank you W Hotels for partnering with me on this post.